The criminal process in Canada is complex and can be overwhelming to someone caught within it. Understanding what to do is often the single most stressful aspect of the process. Although every case is unique, there is a general process that is followed from the initial arrest through to sentencing or appeal. The criminal court process may appear to move slowly at times. It is not unusual for cases, even minor ones, to take more than a year to reach trial. The time involved and process can often be used to the accused’s advantage; however, the lengthy process can result in ongoing stress and anxiety for an accused and his or her family. Retaining an experienced lawyer early in the process to guide you and fight on your behalf can provide significant relief and substantially alleviate much of this stress and anxiety. Next to the trial, the bail hearing is an accused’s most important day in court. Every person who is arrested in Canada is constitutionally guaranteed a timely bail hearing and to be released by the judge unless the Crown objects to release and satisfies the court that it is necessary to keep the accused in custody for the duration of the court process. A judge who agrees to release an accused may impose conditions, such as prohibiting the accused from contacting the victim or witnesses or ordering the accused to stay away from certain places or refrain from certain actions. If the accused is granted bail, but fails to comply with the conditions, new charges may be brought, and the court will review whether or not the accused should have been released. If denied bail, an accused will have to remain in custody pending his or her trial. The accused can apply to appeal a bail decision; however, this can be a lengthy and costly process. Your first appearance in court is not your trial. In fact, none of the police officers or witnesses involved in your case will be there. Rather, the primary purpose of your first appearance in court will be to obtain the details of the allegations against you. This is called obtaining “disclosure”. You have a constitutional right to know what evidence the Crown intends to use against you at your trial. Accordingly, the Crown is obligated to disclose in advance all relevant materials to you, even materials that hurt the Crown’s case and help point to your innocence. The disclosure package provided by the Crown will include statements by police and other witnesses, surveillance videos, photographs and any other type of evidence that relates to your case. Obtaining full disclosure about your case is essential, since this will tell your lawyer almost everything he or she needs to know about the strength of the Crown’s case against you and how to best defend against the charges. Sometimes, the Crown is not able to provide any or all of the disclosure at the first appearance. This is generally the case where the charges are serious or complex. If this is the case, you or your lawyer will have to return to court on another date to obtain it from the Crown in court. Disclosure also assists in applying for a legal aid certificate. Legal Aid will not grant a legal aid certificate until it has reviewed the charges and the strength of the Crown’s case against you. You should retain a lawyer prior to your first appearance. The earlier you retain a lawyer, the sooner he or she can begin considering your options and planning your defence. If you delay, evidence or witnesses that could help your case may no longer be available. In some cases, there are timelines for making decisions about how to proceed, after which time certain options for resolution may be no longer available. Once retained, your lawyer can attend court appearances on your behalf. This should provide great comfort to know that your case is now in the hands of an experienced lawyer, fighting on your behalf. Also, the Crown generally gives priority to cases where a lawyer is present in court before turning to deal with cases involving unrepresented accused persons. The Crown Resolution Meeting usually takes place after disclosure has been received and reviewed by your lawyer and the Crown. A Crown Resolution Meeting is a meeting between your lawyer and the Crown usually over the telephone. It is highly advisable that you retain a lawyer prior to this meeting. Often, the Crown will not meet with accused persons directly to discuss their case. In addition, having a lawyer discuss your case with the Crown will ensure that you do not unintentionally provide further incriminating evidence. Following this meeting, your lawyer will provide you with an update about the information shared by the Crown and advise you how to proceed. At the Crown Resolution Meeting, the Crown and the defence lawyer discuss whether or not the Crown intends to proceed on the charges as laid. In some instances, it is possible for the defence lawyer to convince the Crown not to proceed with the case at all. In the event the Crown wishes to continue the prosecution, the Crown and defence lawyer may discuss whether the accused will be pleading guilty or not guilty. A not guilty plea will likely result in a trial. If the accused intends on pleading guilty, the Crown will usually outline the charge or charges they require the accused to plead guilty to, the facts surrounding the allegations to be accepted as part of the guilty plea and the appropriate sentence. The types of charges an accused will plead guilty to and the type of sentence they will receive are things lawyers commonly negotiate. A Judicial Pre-Trial meeting is similar to a Crown Resolution Meeting, except in this case the discussion is held in front of a judge in his or her chambers or closed court. The accused is usually not permitted to attend. The purpose of the meeting is for the judge to consider the merits of the Crown’s case with a view to further narrowing the issues or convincing the parties to resolve the case. 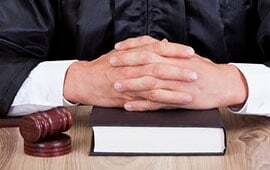 A judge may also give his or her opinion on an appropriate sentence in the event of a guilty plea. The Judicial Pre-Trial can be helpful in negotiating the best possible resolution for the accused since both sides have the benefit of a judge’s opinion, even though the opinion presented at this time is not binding. A preliminary hearing is a formal proceeding in court to determine whether or not there is enough evidence available to commit the accused to stand trial on all of the counts they are charged with. It is not the trial itself. It is only required in certain serious cases. Your lawyer will be able to advise you as to whether a preliminary hearing is necessary or desirable in your case. The trial is the forum in which both the Crown and the accused produce evidence to support their position. After each side is permitted to make an opening statement, the Crown first presents the evidence against the accused. After the Crown has made its case, the accused is permitted to present evidence that weakens the Crown’s case and may even point to his or her innocence. At the conclusion of the trial, after all of the relevant evidence has been put forward by both parties, a verdict is delivered declaring the accused guilty or not guilty. The verdict is delivered by a judge or jury, depending on the circumstances or seriousness of the case. Jury trials are reserved for trials involving the most serious offences (e.g., murder, robbery, serious sexual assaults). If the accused is found guilty at trial, he or she will be sentenced accordingly. When determining the appropriate sentence, the judge is required to consider a number factors and circumstances. An experienced lawyer can make submissions and present the relevant facts and circumstances to the judge in a way that ensures that the sentence is not excessive and is proportionate to the offence. The court’s decision can be appealed by both the accused and the Crown. However, if you wish to appeal your decision, you must do so in a timely manner as there are relatively short filing deadlines imposed by the court. You should speak to a lawyer immediately if you wish to appeal a decision or sentence delivered by the court.